Because English is the default language of global business, success depends on employees who can communicate and collaborate effectively in this common language. In fact, new research from the CEB shows that as much as 50% of successful performance now depends on collaboration (up from 20% ten years ago), making this a more urgent issue. However, most employees (93%) working in multinational companies do not have sufficient English skills to adequately perform their jobs. 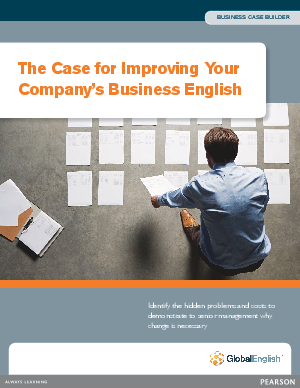 Read the white paper and learn how to build the business case for launching an enterprise-wide Business English development program to increase your company's productivity and profits.